Nissan has launched the all-new X-Trail at the Frankfurt Motor Show. 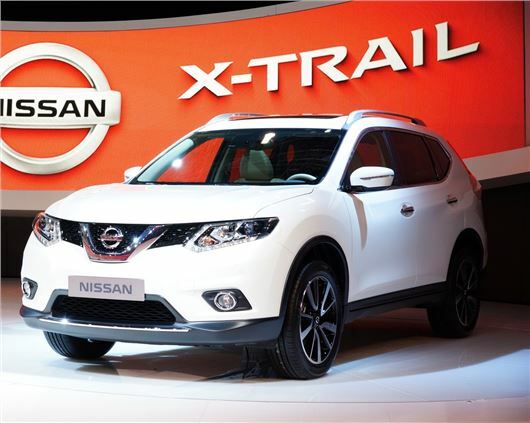 No details about pricing have been revealed, but the X-Trail is expected to reach UK showrooms in 2014. Taking styling cues from Qashqai, Juke and Murano, the new X-Trail is described by Nissan as “the ultimate all weather modern family vehicle.” Intelligent all-wheel drive is expected to be fitted as standard across the range, with the choice of two or four-wheel drive selectable via a rotary dial in the centre console. Other improvements include the introduction a number of electronic aids that – according to Nissan – will make the new X-Trail one of the most comfortable SUVs on the market. Included in the list of gadgets and gizmos is Nissan’s Active Ride Control, which will control the vehicle’s damping to compensate for poor road surfaces. The X-Trail will also feature Active Trace Control, which will reduce understeer by constantly monitoring speed, steering, throttle and braking. The aditions of these systems should, in theory, allow Nissan’s new SUV to be as firm footed on the road as it’s off it. There are no details about engines yet, but it’s thought that the new X-Trail will be powered by the current 2.0-litre diesel, with the choice of manual or automatic transmissions. The X-Trail will also be available with seven seats, with improved interiors and equipment levels. LED headlights will be standard on high grade models while 19-inch alloy wheels will be available as an option. Nissan have also claimed to have greatly reduced the vehicle’s weight to compliment its new aerodynamic shape.